Howdy all! Name's Joshua and recently passed my MSC earlier this month. I have been swooning over the looks of the FZ-07 for months now! Went to the RideNow event here in Peoria yesterday and test rode one. What a blast! Looking to take the plunge at the end of October to get one. For those who have ridden both the FZ-07 and FZ-09, can you tell me how comparable the -09 is in B mode to the -07? I have a buddy who is insistent of me getting the -09 and swears up and down the -09 in B mode is just like the -07. His reasoning is that my height/weight and inseam (6'1", 240lbs, 32" respectively) would best best suited for the -09. Personally I don't know about that. I was more than comfortable on the -07. Also, is there any difference other than color for the FZ-07 from the 2015 to 2016 models that I should now about? Look forward to chatting with you all and for those in the Valley of the Sun, I hope we can meet up and go for a ride someday. My advice is to ride a few bikes and buy the one you like. It really is that simple. Or, get the FZ07. The FZ-09 is faster. The R-1 is even faster. How fast do you need or want to go? Or do you just want a bike that looks cool as hell, will take you down any road, and doesn't cost an arm and a leg? If the last sentence fits, buy the FZ-07, come back and become a premium member and post a million pics! I have no desire for speed. I really love how the FZ-07 looks. I'm sold on it. Welcome xcarbonsteelx! My hubs has an 09 and I have ridden it many times. I always put it in B mode because the thing still scares me. I can vouch that the 09 in B mode is not "just like the 07"! Both bikes have tons of power. I agree that the 07 is better looking than the 09; just compare the tail lights for one. It seems you've already made up your mind. 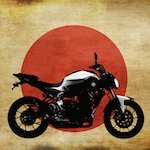 As previously said, buy whatever bike fits you best, but in all honesty if you just barely passed the MSC I recommend the FZ-07. It is a great bike with all the power you would ever need and is very forgiving. You also said you're not looking for speed, so it sounds like you made up your mind. If you eventually do want speed, pay off the FZ-07 and get a FZ-09 or something else that will fit the bill. Nothing says you can only have 1 motorcycle! Hi @xcarbonsteelx, thanks for joining. As for your second question. There are no changes that I know of (apart from color) between 2015 and 2016. Choose the color you like most and take it from there. Or even better, try and get a good deal on a '15. They had the r3, fz07/9, fj09, did you ride just the 07? hell maybe i saw you down there on Friday w/o knowing it. I was there Friday and did only ride the FZ-07. Didn't have any interest in the R3. I sat on the FJ-09 inside and didn't care for the height of it. About what time were ya down there? I rode the r3 but couldnt hit the powerband with the route they chose. I live near the Cardinals stadium. Once I get my motorcycle and am comfortable with it, I'm down to go riding. Well Ladies and Gentlemen it appears as I will be a proud owner of a 2015 glacier white -07 with an Akrapovic titanium exhaust on Sunday! I was able to talk (bug) my fiancé into letting me get one before 11/2016!